How to add Form Fields (Additional Details) ? Home › Home › Listing Settings	› How to add Form Fields (Additional Details) ? STEP 4: Enter a title (Example: Accepts Credit Card). 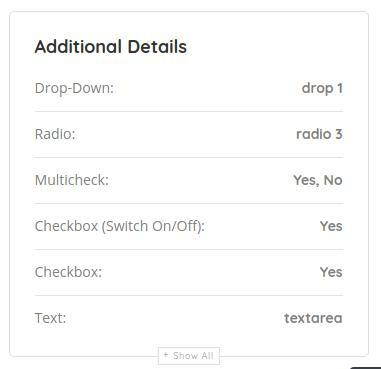 Backend View: Available Options: Text, Checkbox, Checkbox (Switch), Multicheck, Radio, Drop-Down. 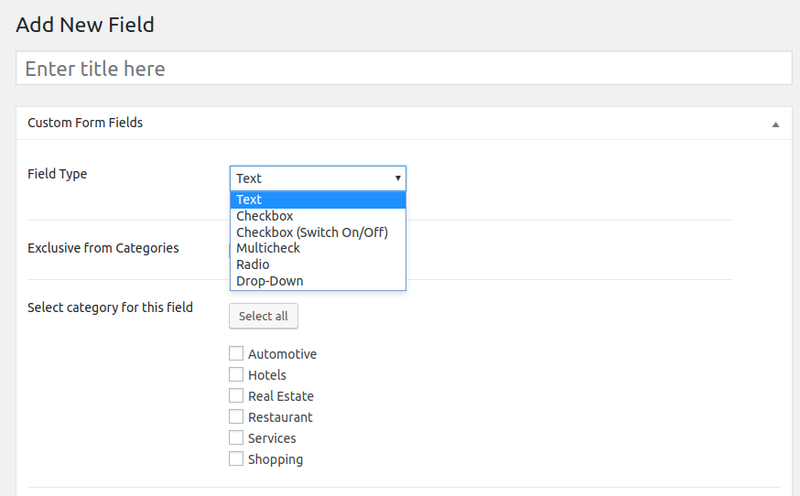 Frontend View: Examples of all Custom Form Fields as they may appear during listing submission. 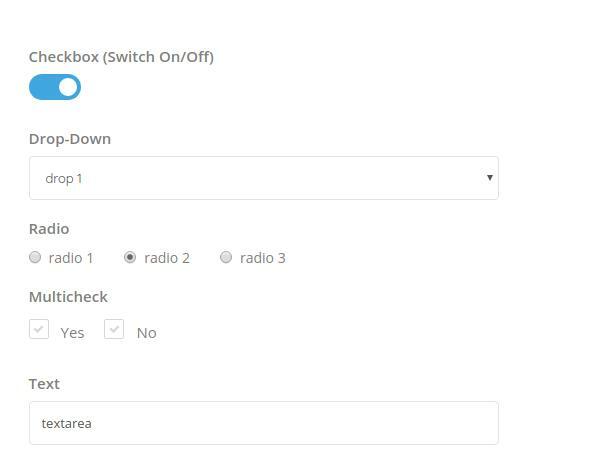 For Form Fields such as Multicheck, Radio and Select you will need to fill in Options (Example: Option 1, Option 2, Option 3…). STEP 6: Select if you want this option as global in submitting a listing, and exclude from being part of a particular category. STEP 7: If not applicable as global, you can Select All Categories that apply to the Form Field. Frontend View: How Additional Details appear on listing details page.